MEDICAL COSTS SINCE NOVEMBER 2013: $707.54 PLEASE CONSIDER MAKING A DONATION! 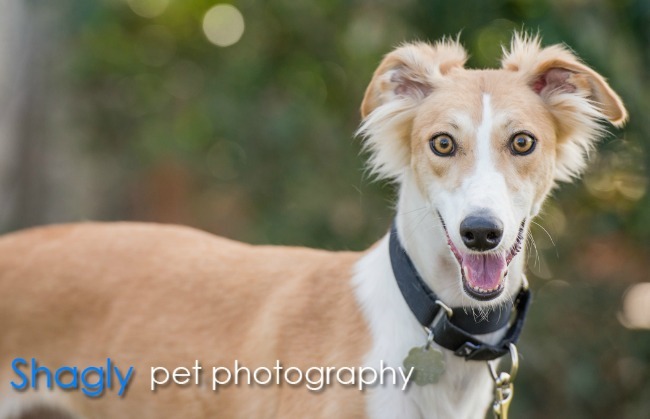 Clarice is a 14-month-old fawn & white female who is likely a greyound/saluki mix. She and Claudia joined the GALT family after their owner in Oklahoma decided they would not be good rabbit-chasing dogs. Clarice has tested positive to Ehrlichia and will begin treatment as soon as a foster home can be found. Clarice is living with cats in her foster home. Clarice has completed the treatment course for her positive Ehrlichia titer. She will be retested within the next two weeks to recheck her titer levels, and a PCR test will also be performed. Depending on the results, it is hopeful that she will be ready to complete all her medical procedures at that time. Clarice's PCR test results were negative! 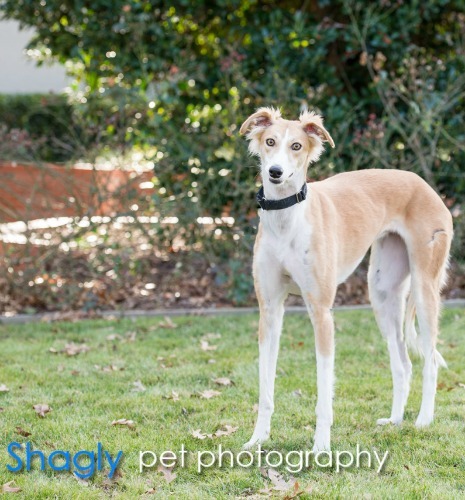 She has completed her final medical procedures and is ready to find her forever home.